Practice only on the days you eat. As the school year comes to a close, students are busily trying to fit in all of their end-of-the-year activities jam-packed schedules, and often one of the first things to go is their daily practicing. Regular practice is a discipline that requires a lot of motivation, as well as perseverance. As music teachers (and parents of young music students), it is our responsibility to help our young pupils stay motivated! I was very proud of my studio this past weekend when they all performed their solo pieces, as well as a couple of group songs, at a local senior living facility. I believe it is important to give even our youngest students the opportunity to perform their pieces for others. For me personally, as well as most musicians, the act of performing is a reward for good practice in and of itself. This is often true for our students, too! If they have an upcoming concert, they are noticeably much more likely to practice. However, young pupils (especially elementary school children) often need additional rewards to help with the daily practice routine. 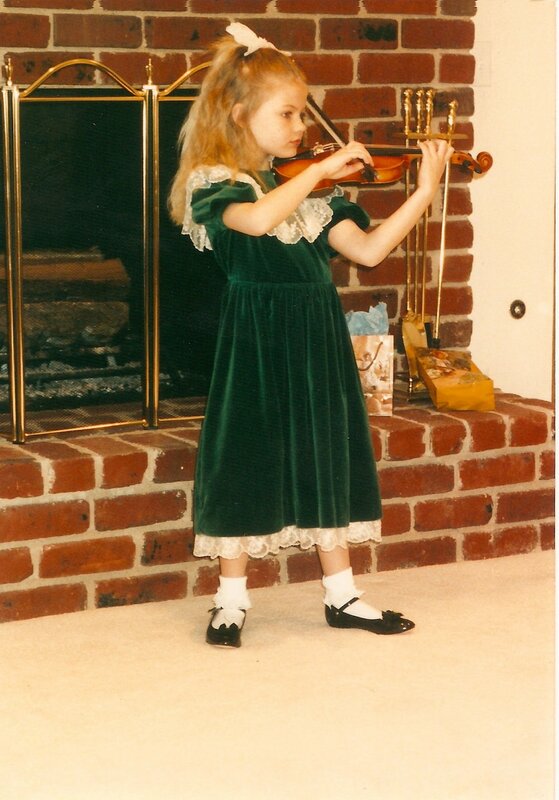 As a result, we at Uptown Violins enjoy implementing practice contests with our students. This past month I conducted a “Pizza Party Practice Contest” leading up to our recital. At the beginning of the month, I gave each of the students a stack of construction paper strips, and for every day that they practiced, they taped it, forming a link on their construction paper chain. If each student could practice at least four days a week, then the entire studio could earn a pizza party (a little positive peer pressure can often be effective). Furthermore, if they could all practice five days a week, then they would additionally earn a dessert pizza! Every week they enjoyed watching their chain grow longer and longer, which inspired them to keep practicing. I am happy to say that they earned both the pizza party and a tasty cookie pizza, too! The Violin World Series can certainly be adapted to other sports as well. Brittany originally developed it as a March Madness practice contest due to the popularity of basketball in the region, with rounds Sweet Sixteen, Elite Eight, Final Four, and the Championship Game. I hope these ideas can inspire parents, teachers, and students to keep practicing!